If you want a happy marriage, you don’t assign someone else to do all the talking to your spouse. So why, we were asked, do some chief executives never talk to, let alone meet, the suppliers on whom their business depends? Some supplier relationships are as important to the business as our personal relationships can be to us – but we leave the nurturing of that important relationship to others. Is that really the best approach? Or should chief executives and other senior staff make sure they know what state those essential relationships are in, and get right in there with the meeting, the hand-shaking, and the talking? There really is no predicting the thought-provoking ideas that can come up during a Leaders’ Integrity Forum meeting. Stephen Town, the chief executive of Auckland Council, chaired the May forum. He got everyone’s attention when he described a current shortfall of skill and capacity in procurement and pointed out that the next 10 years of developments in Auckland will be huge. Not only is there a real procurement capability and capacity issue looming, Auckland Council is already seeing small but worrying changes as people from other nations assume that backhanders and cash incentives are how business operates here, too. It isn’t. Along with other many other speakers at the Leaders Integrity Forum sessions I’ve attended, Stephen is also worried for New Zealand’s reputation. Stephen introduced Jazz Singh, who is General Manager Procurement in Auckland Council. Jazz described the huge scale of procurement by Auckland Council and the work done to lift the standard of that procurement. Thanks to procurement technology that Jazz described as efficient, consistent, and paperless, Council staff can now focus their attention more usefully on procuring wisely and well. Jazz talked about identifying the value (because the planning and homework phase is critical), capturing the value (emphasising the importance of innovating in how you approach a market), and retaining the value (noting that if you automatically go for the lowest tender, you’ve lost value already – as “variations to the contract” are likely to be raised throughout the contract). Deliver the best value for every dollar. I particularly enjoyed hearing about the Council’s commitment to transparency – that’s always a winner with this Office. The Council will not sign contracts that keep its spending confidential. Instead, it regularly publishes on the Council website the names of all suppliers receiving more than $50,000 in ratepayers’ money and describes the goods or services provided. The Council uses probity auditors for all high-risk and high-value procurement. And it’s putting all gifts and hospitality offers on the website next. As Jazz pointed out, all this careful automation, monitoring, and visibility won’t stop a determined fraudster – but the Council will find them earlier. The next guest Stephen introduced was Paul O’Neil, General Counsel for the Serious Fraud Office. Paul talked to us a little about the fraud case at Auckland Council. Stephen had already mentioned the enormous damage it had done, but Paul’s emphasis was on the useful stance the courts took in that case. Usefully, the judge recognised that the Serious Fraud Office didn’t need to prove single instances of improper behaviour connected to a particular payments. As well as the false invoicing, the insidious pattern of paid lunches, paid expenses like mobile phone accounts, and skyrocketing company profits after an individual’s appointment in a particular council role were evidence enough. Paul reminded everyone about the importance of never making exceptions to policy settings or controls based on seniority or force of personality. He also recapped some of the most obvious red flags: people not taking leave, or being overly protective of certain supplier relationships, being too keen to “help out” with tenders, or having a lifestyle out of keeping with their income. 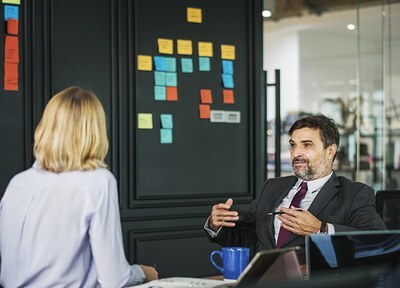 Senior leaders need to consider where their own risks lie – for some, it isn’t actually money that needs to be so carefully safeguarded but the information that the organisation holds. The next speaker was Mark Richards, who works for the Ministry of Business, Innovation and Employment in a senior procurement role. It was Mark who asked people why they leave their most important supplier relationships entirely to other staff. He strongly encouraged chief executives to get involved in their most important procurement relationships – the pace of change these days demands that level of attention. Mark also emphasised that we’re often seeking innovation and smarter, better ways of working – but we give providers about four weeks to come up a proposal and then give them about the same amount of time to sign a contract. In Mark’s view, that’s never going to lead to innovation. Instead, Mark says that we need to get to know the market earlier and properly by talking to people inside your organisation and externally. After all that stimulation, the questions from the floor were many and varied. The questions about how Auckland Council puts the sustainability principle into effect were great, as were the answers. That sustainability commitment includes social sustainability – using procurement to develop and support the city’s people, not just provide great value and effective goods and services, is an exciting idea. I’m looking forward to the next Leaders Integrity Forum in early July, which will include a presentation by Audit New Zealand’s CEO, Stephen Walker, on learnings from the public sector about building integrity systems that are transferable to the private sector.